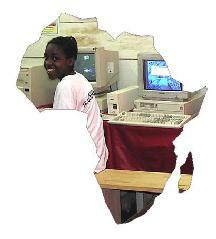 then let's facilitate her access to new technologies. PICTURE GALLERY. NTA has collaborated again with the Fundació Lluís Llach in Palmarin (Senegal), making the donation and installation of 10 computers. These computers have been installed in classrooms expanding schools and Ngallou Ngonumane (created for an average year with an earlier collaboration), creating a small cafe with three PCs and a printer and a computer providing the "sunset Sante" of Ngallou and Ngounumane. To see photos of the project click HERE. Thanks to the collaboration Sant Pere Claver - Fundació Sanitària (with its project "nòmina Solidària"), the Fundació Lluís Llach and NTA, has made the donation and installation of a Printer - photocopier at the offices of Communauté Rurale de Palmarin (Senegal). NTA has recently received the donation of computer equipment from Nespresso Catalana Occidente and Naturalea. From here our gratitude. The received computers will be used for projects in Africa and catalan NGOs. Approximately fifteen computers donated by NTAfrica form the new IT classroom of the residence that the Fundación Por Una Sonrisa En has in Mbour (Senegal). This summer a voluntary of NTA has installed the computers and has initiated IT training courses for resident students. More pictures HERE. In January, 2009, thanks to " La Caixa " and the travel agency "Temps d'Oci", a voluntary of NTA (Mariona Amorós) has moved to Cameroon and has mounted a small computer classroom with 5 portable computers in the " Foyer Notre Dame of the Foret (FONDAF) ", in Bipindi, for the training in New Technologies of the community Bagyeli.